Title of presentation - Icelandic roots and identities: Genealogies, DNA, and personal names. Professional qualifications – B.A., M.A, Ph.D.
Honorary Fellow of the Royal Anthropological Institute of Great Britain and Ireland. Icelanders usually grow up with genealogies and family reunions. Family relations are strong and my parents kept records into the past. Long after I left my hometown, the Westman Islands, Iceland, I got passionately involved with genealogy when the Book of Icelanders – a pioneering online tool for tracking connections and family trees – was constructed. I was fortunate, as an anthropologist and a citizen, to follow the construction of the database and its use in genetics and by the public. This experience satisfied my personal curiosity and my anthropological interests in kinship relations and ideas of identity and belonging. One of the issues I have found fascinating is the design and visual metaphors of genealogical relations and their cultural differences across time and space. I have published extensively on these issues for the last 15 years, both academic books (Anthropology and the New Genetics, 2007) and magazine articles (“Spitting Image”, Anthropology Now, 2009). I first got involved with genetic genealogy when I followed developments at deCODE genetics in Reykjavik, all of which are based on combining “deep” genealogies, more or less back to the settlement of Iceland in the 9th century, and genomic mapping. Apart from tracking the genetics of common diseases and their family connections, deCODE launched a project called deCODEme (now out of service), the first case of personal genetic testing services as we now know them (similar to 23andMe). Aside from this I was working on two rather different projects. One of them focused on Inuit communities in Greenland and Canada, addressing indigenous notions of family, relationships, and inheritance. In the Inuit view personal names are a key to identity and belonging, not hereditary material in the Western sense. I discussed the similarities and difference of what I called gene talk and name talk in my article “Genomic Anthropology: Coming in From the Cold?” (Current Anthropology, 2008). The other project relates to my biography of an enslaved man from the Danish West Indies who escaped to Iceland, via Copeinhagen, in 1802 (The Man Who Stole Himself: The Slave Odyssey of Hans Jonathan, 2016). How, I asked, do the descendants of Hans Jonathan (now about 1000), presumably the first black person to settle in Iceland, relate to their African-Caribbean roots? Interestingly, Hans Jonathan’s genome has now been largely reconstructed by anthropologists at deCODE genetics, drawing upon the genetic signature of his living descendants and the Book of Icelanders. I will be talking about the genealogical database The Book of Icelanders and the DNA testing of the people of Iceland, how these have helped reconstruct the genome of a runaway Caribbean slave who became an Icelandic merchant in the early 1800s, and the quest of his descendants for roots and identity. 1. It may be useful and interesting to compare the cases of Iceland and Ireland. How is the use of, and interest, in genealogies different? 2. Genetic research shows that there are significant Irish signatures in the genetic makeup of modern Icelanders, thanks to Norse travels through Ireland. As a result the two contexts may have lots in common. 1. What has driven Icelanders’ interest in genealogies, how have they been assembled and used, and to what extent has their significance been altered with digitalization and the new genetics? 2. How have genealogical records and genetic databases helped the reconstruction of the genome of a runaway Caribbean slave, Hans Jonathan (1784-1827) who settled in Iceland, and the quest of his descendants for roots and identity. 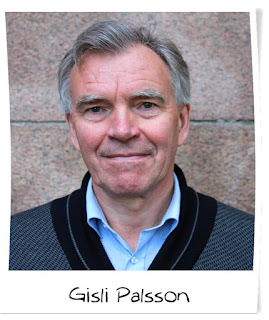 This year, the four lectures on Friday afternoon (including Gisli's lecture) were made possible by the kind support of CITIGEN, a HERA Project. CITIGEN is an international collaborative research project that looks at the uses of modern and ancient genomic data in shaping public understandings of the past and our individual and collective identities. I wonder does the Icelandic naming patterns- "son of / daughter of" make paper genealogy possible? Also has any Icelandic genes been found in ancient Native American DNA to say that the vikings mixed when they tried to settle? Iceland has some of the the oldest most comprehensive genealogies, going back to the 800s. 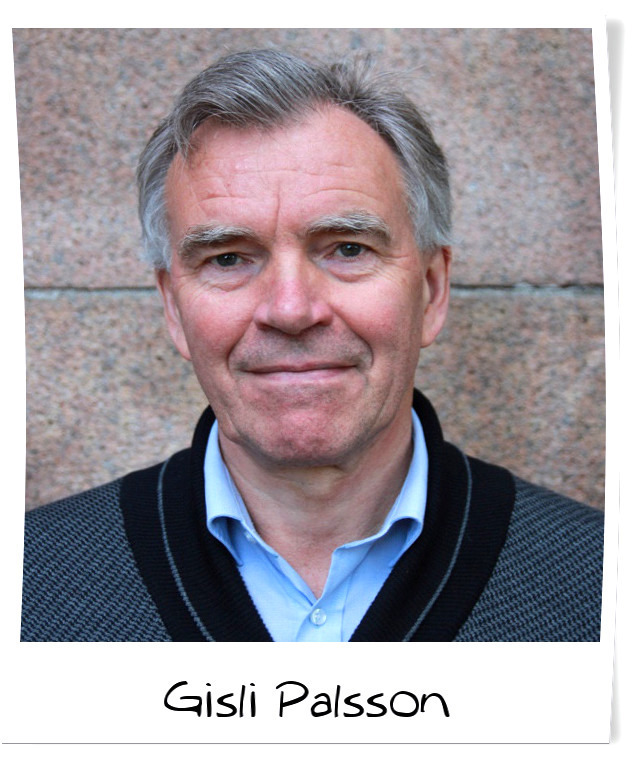 This is one of the topics that Prof Palsson will discuss in his lecture. As for Viking DNA in Native American populations, it might be considerably difficult to distinguish it from later Scandinavian DNA.